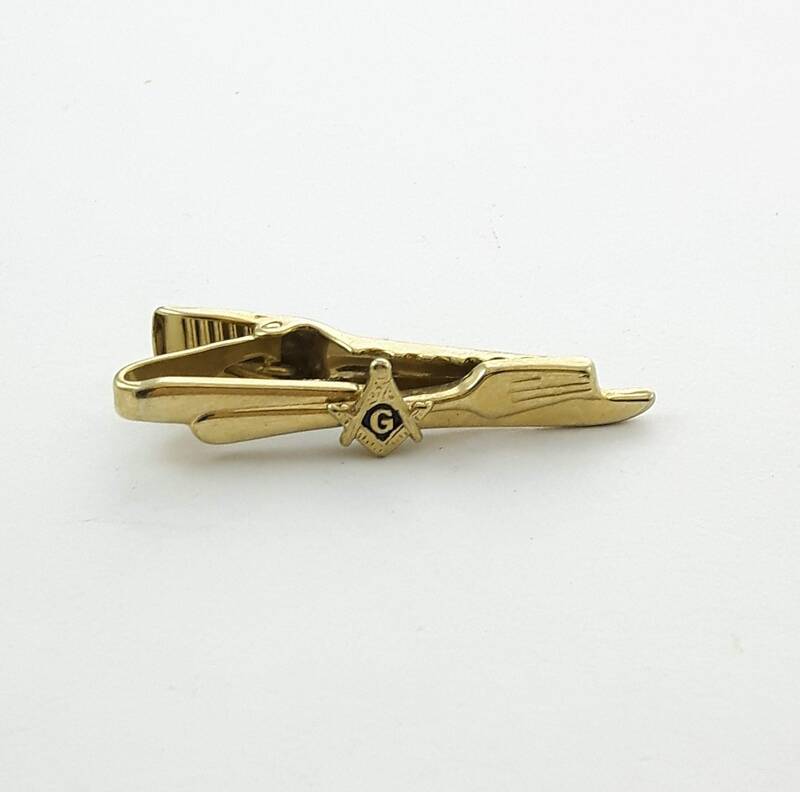 Gold Masonic Symbol Knife and Fork Tie Clip. 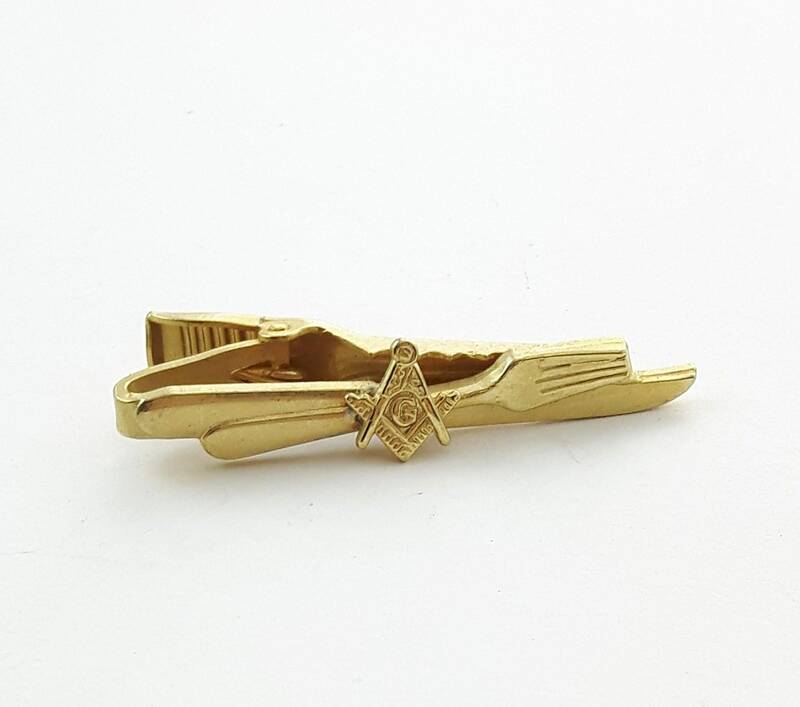 Gold Tone Masonic Tie Clip. Choose from two styles - with or without enamel.